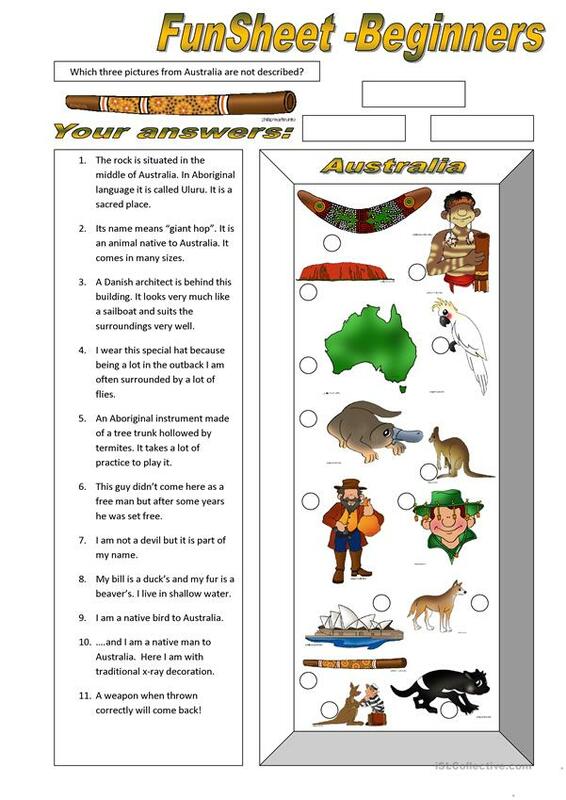 Another one this time testing the students' knowledge on Australia and at the same time their reading skills. This downloadable worksheet was created for high school students, elementary school students and adults at Elementary (A1), Pre-intermediate (A2), Intermediate (B1) and Upper-intermediate (B2) level. It is a valuable material for improving your pupils' Reading skills. It is focused on the topic and words of Countries.